Editor’s Note: This is the cover story in the March issue of RISMedia’s Real Estate magazine. Subscribe today. When many people think about buying a home, the words “trust” and “confidence” don’t readily come to mind, especially when it comes to locking down a mortgage. But Quicken Loans is on a mission to change that. “In a process that is filled with challenges and questions, we want to provide as much certainty for clients and agents as possible,” explains Joel Gurman, Quicken Loans executive vice president of Mortgage Banking. And the introduction of programs powered by technology, big data and consistent communication is making that happen. Driving this revolutionary approach at Quicken Loans are three critical, yet often elusive, goals for the mortgage process: trust, communication and confidence. 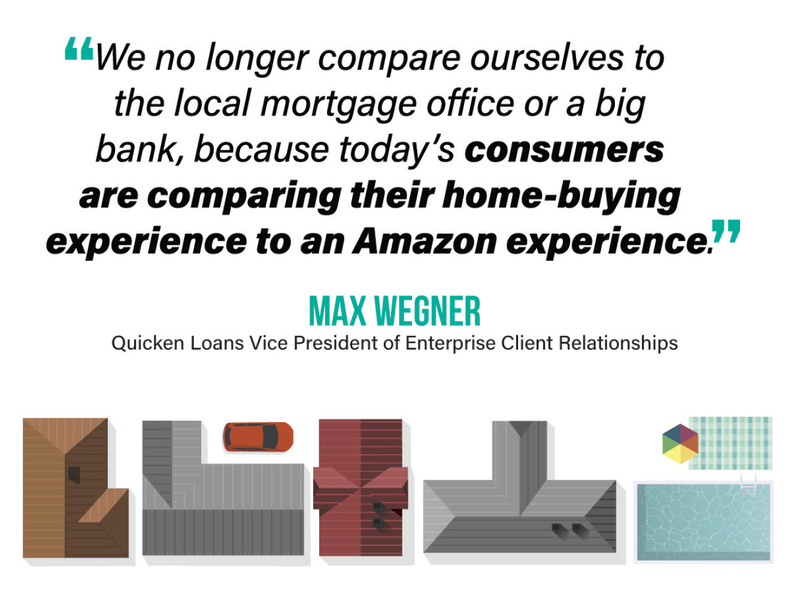 To help create that environment of trust, Quicken Loans has added a unique layer of communication into the mortgage experience by introducing Agent Relationship Manager teams. Quicken Loans spent years developing the role of Agent Relationship Managers, and the teams pair all real estate professionals who have a client working with Quicken Loans with their own personal Agent Relationship Manager. Fully licensed in the agent’s state and able to discuss all loan-level inquiries, the Agent Relationship Manager serves as the agent’s main point of contact throughout the buyer’s mortgage process and eliminates the need to communicate with multiple people. Agents now have a dedicated point person in their corner—one who will do whatever is needed to ensure a timely closing. They also now have an unmatched level of confidence in the mortgage financing equation, thanks to the Power Buying Process , which was introduced in 2018 and is only offered by Quicken Loans. By giving the ability to underwrite a client’s income, assets and credit in less than 24 hours, the Power Buying Process offers homebuyers a Verified Approval. The average preapproval can fall through for a variety of reasons, but a Verified Approval has the strength of a cash offer. That’s why Quicken Loans sought to infuse the mortgage process with clarity and confidence through the Power Buying Process, which, says Dempsey, removes subjectivity from the preapproval process. The road to Verified Approval can come through a traditional Quicken Loans mortgage or through Rocket Mortgage, Gurman says. The difference lies not in the quality of the approval, but in the avenue a client takes to get there. Rocket Mortgage allows consumers to go through the loan approval process online, at their own pace. Rocket Mortgage, which debuted with great fanfare in 2016, represents a revolutionary step in modernizing the mortgage process. Rocket Mortgage approvals are not part of the Power Buying Process, but according to Gurman, they are just as powerful. Wegner says the goal of programs like Rocket Mortgage and the Power Buying Process is to give homebuyers the same level of confidence and clarity they experience in other areas of their lives. Programs like the Power Buying Process also arm real estate professionals with a new level of confidence when working with buyers in the field. The Power Buying Process packs the most punch when it reaches its final step: RateShield Approval. This option locks in a buyer’s rate until they find a new home (for up to 90 days). It also gives them the ability to lower their rate if rates go down after they find a home. While a Verified Approval goes a long way toward creating trust and confidence in the mortgage process, nothing compares to having a dependable, communicative partner to rely on every step of the way. This is where the Quicken Loans Agent Relationship Manager comes into play. Chris Corry, a top-producing REALTOR® with Berkshire Hathaway HomeServices PenFed Realty in the Washington, D.C., area, sees the benefits of having an Agent Relationship Manager. Jennifer Jenkins of the Marvine Jenkins Team at Long and Foster Real Estate agrees. Kristyn Cooley, a REALTOR® and associate broker with Crye-Leike in Arkansas, says, “Having someone I can directly reach and speak to makes all the difference. Sible wears a multitude of hats in his role. In addition to being an Agent Relationship Manager, he has 10 years of experience as a federally- and state-licensed Mortgage Loan Originator (MLO), which enables him to assist with all loan-level inquiries, from program offerings to appraisal questions. But the real superpower of the Agent Relationship Manager is the ability to streamline the process and get agents and their clients to a faster closing. “This allows agents to focus solely on the needs of our mutual client,” says Sible. Agent Relationship Managers also provide agents with important intel regarding clients. Agents are also able to refer prospective buyers to their Agent Relationship Manager to inquire about preapproval. Perhaps the biggest benefit of an Agent Relationship Manager is the virtually round-the-clock availability, something busy real estate professionals find invaluable. Corry can attest to this. And this, in turn, empowers real estate professionals to be there for their clients. 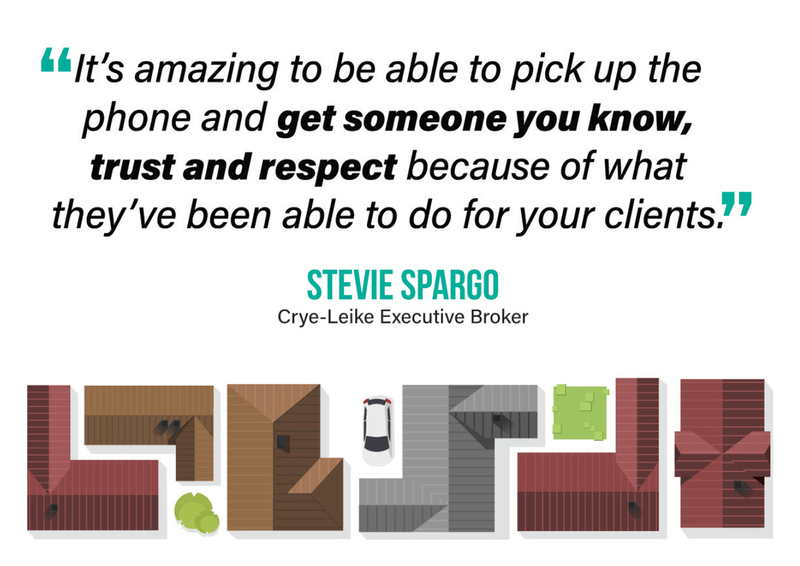 Working with Quicken Loans through her Agent Relationship Manager has enabled Spargo to build her business in a small town where word-of-mouth referrals are invaluable. Jenkins also benefits from referrals that come her way thanks to positive experiences she provides with the help of Quicken Loans. For Quicken Loans, reinventing the mortgage process is an ongoing journey that requires a constant eye on the changing needs of consumers and real estate professionals. Gurman says that the process is still evolving. For more information, please visit RealEstate.QuickenLoans.com. 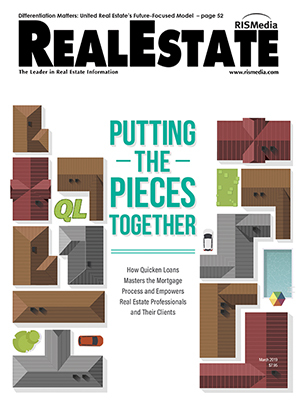 The post Putting the Pieces Together: How Quicken Loans Masters the Mortgage Process and Empowers Real Estate Professionals and Their Clients appeared first on RISMedia. The post Our Most Important Clients: Helping Our Agents Grow Their Business appeared first on RISMedia. The post 7 Tips for Building Trust With Foreign Clients appeared first on RISMedia. Expressing gratitude is an incredible act of showing appreciation, thankfulness and offering kindness in return. Never miss an opportunity to show how much you appreciate someone. In today’s fast paced, digital and sometimes impersonal environment where people are easily distracted, personal relationships and how we foster them are so important to maintain—not only for business relationships, but for true relationships to grow. Giving thanks during this time of year to those who have helped you grow, both personally and professionally, is a way to keep your important and personal relationships meaningful. Showing gratitude to your clients, your referrals and your team members is great way to show those people how important they are to you now and in the future. Thank your clients for their business over the years. Be sure that you personally thank your clients, whether they sold or purchased their home with you this year, or five or 10 years ago. They need to know that you value the relationship and sincerely appreciate the trust and confidence they had in choosing you to help them with their home purchase or sale. Make it a point to call them throughout the year, but also call them now to say thank you and wish them a happy holiday, and that you hope they and their families are well and you look forward to seeing them soon. Personal phone calls in today’s world are often received with extra appreciation. The phone call doesn’t have to be long; it’s the thought of you taking the time to personally call them and thank them for being a valued client. If you have too many past clients to call, send them a video of yourself thanking them and wishing them a happy holiday, and telling them how much you appreciate their business and their referrals. I would still recommend calling your list of top clients personally. It really is meaningful when you take the time to make a phone call. Be sure to thank your referral sources. Business referrals are the cornerstone of your success, so making sure you thank those who refer your services—both at the time of their referral as well as several times a year—is so vitally important. These are your top 50-100 referring sources who are card-carrying fans and refer to you their friends, family, neighbors and co-workers. Be sure to thank them with a special gift, gift certificate or meaningful act of appreciation. When people trust you enough to refer you to someone, there really is no better compliment. Be sure to personally call them or stop by to drop off a gift and thank them again for their trust and confidence in you and let them know how much you appreciate the relationship. Thank your team members and staff. It is so important to let people on your team know that you appreciate their hard work and dedication every day, that you know how much they put in to make the team successful, and that you don’t take any of that for granted. Showing your appreciation with a special hand-written note and a small or large gift of appreciation goes a very long way. Especially when it is not expected. Go the extra mile to take your team to a holiday luncheon or special dinner with guests. This is a very considerate and first-class thing to do for those who helped you all year. Don’t miss the opportunity to thank your team and staff and recognize them for their contribution to the whole organization. It is a gesture that is most appreciated by the recipient, but also will make you feel good too. Consider holding a client-appreciation event or special thank-you gift. A client-appreciation event is a great way to bring your clients, referral sources and team together for a holiday cocktail party, dinner or fun night out. Schedule an event at the hip, new place to go in your town, or consider having it at your home. In either event, you will be providing a great venue to treat your tribe to a fun night where you can say thank you in person. Other client appreciation events can be family-oriented craft events or even an annual golf outing. Inviting your clients, referrals and team members gives everyone a chance to enjoy the event and brings people together for you to show your appreciation to them for their continued, long-term loyalty to you and your business. Thank your affiliate partners. Don’t forget to thank those affiliated partners who also helped you grow your business or sent referrals to you. All the mortgage, title, home inspectors and insurance professionals who helped keep deals together or assisted to keep your sales closing on time. Sending them tickets to a great movie or theater production, a generous gift card and a personal note of thanks will show your appreciation for their part in your success. Again, valuing your professional relationships shows you are a genuinely grateful person and that this isn’t just a job but that you are truly serving the community where you live, work and play. Gratitude is an action and there is never a better time to show appreciation than the holiday season between Thanksgiving and the New Year. Spread gratitude and show thanks to those who helped you grow personally and professionally and watch great things happen. Everyone wins, and everyone feels good. Show your gratitude and thanks by visiting my Facebook page and comment on your client appreciation event, or drop a picture of the annual thank-you appreciation gift you give to clients, referrals or your team at https://www.facebook.com/sherrijohnsonconsulting/. Have a wildly successful listing and sales week! The post Give Thanks to Your Clients, Referral Sources and Team appeared first on RISMedia. When Does a High-Volume Lead Gen Site Make Sense for Your Team? The post Make Sure Your Clients are Properly Covered appeared first on National Real Estate Post.